What's that sparkle in the dressage arena? 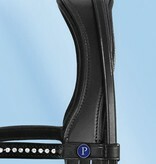 It's the PASSIERBLU Dream Double Bridle from the current PASSIERBLU Collection – a dream come true for horse and rider. 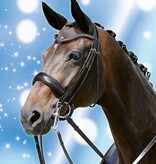 The waved browband with medium sized strass crystals is simply "Wow!" With its anatomically-formed, softly lined head piece the double bridle is super-comfy for the horse! The Caveson Special also is anatomically-formed and has super-soft lining. 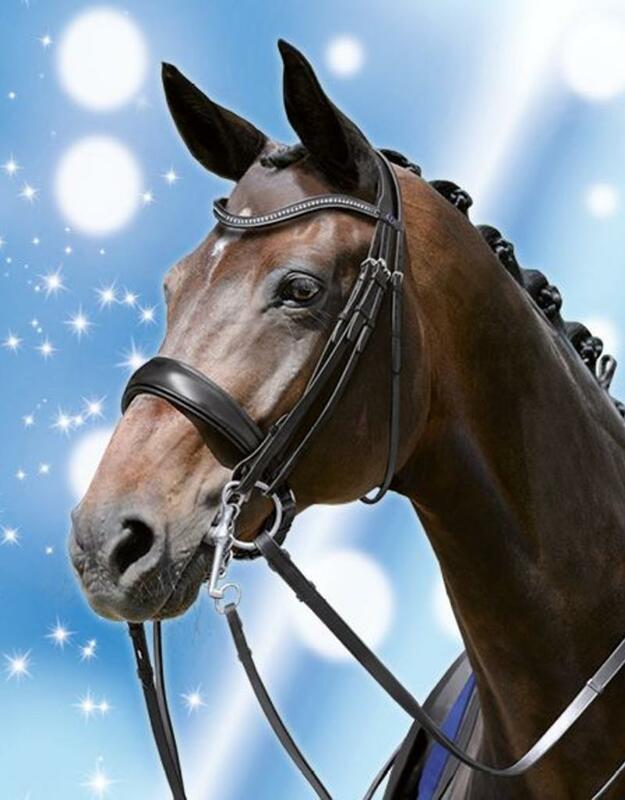 This stylish double bridle fits the horse’s head perfectly! 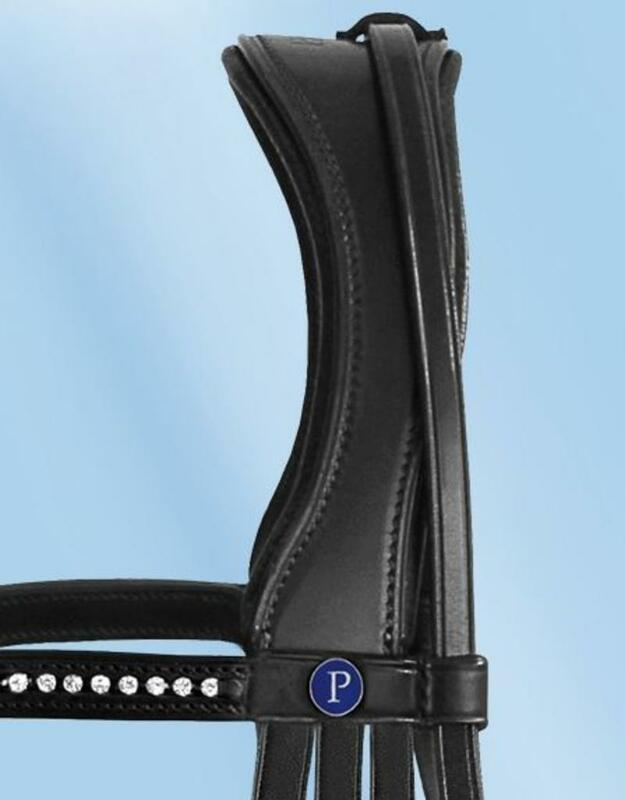 Only genuine with the original PASSIERBLU “P”-Label on the side of the browband! On request now also available with blue patent leather loops and stops on the cheek pieces!